Selected IT-Electronics topics from November-December 2014. At present, unused spectrum is allotted to television broadcasters. This unused gap is called “White space” Microsoft wants to use it, to beam wifi on a bigger scale of 10 kms radius, with 15 mbps speed at a cost of Rs.10 lakh per router. This can provide internet connectivity to villages and tribal areas. But government must give the unused spectrum to tech companies first. Microsoft got trial-permission for Bangalore. Telangana Government also interested in this technology for Hyderabad. CEO Satya Nadella met Telecom minister Ravi Shankar Prasad for all-India application. Recall that other tech-giants too want to increase internet penetration. Example Facebook’s solar-drones (Internet.org) and Google’s helium balloons (Project Loon). Some other companies want to give free internet to non-smart phones using USSD code service. Because if more people have internet, then tech giants can make more money through advertisements and e-commerce. In Dropbox, Google drive, Mediafire – you can store your personal files on cloudnetwork. 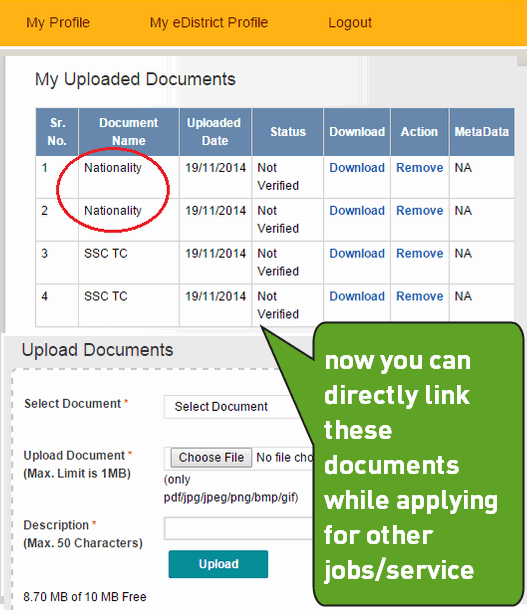 Digital Locker aims to store certificates in government’s cloud (online hard disk). For example, you store your birth certificate online and provide only the link when you apply for passport. Maharashtra government already launched “Maha Digital Locker” where you can login with your Aadhar id. This website can directly upload your certificates to third party website- during job application, passport registration etc. Microsoft CEO Nadella wants to help implement this technology at all India level. Pro: Paperless operations, no need for photocopies and attestation by gazetted officer. Anti: Concerns about online privacy and security. An astronomical calculator a.k.a. world’s oldest computer. It was found in a shipwerck near a Greek island called Antikythera, hence the name. This bronze instrument was built by Greeks >2000 years ago. Complex clock like mechanism with ~30 gears and dials. Being called a computer doesn’t mean it had electronic chips! 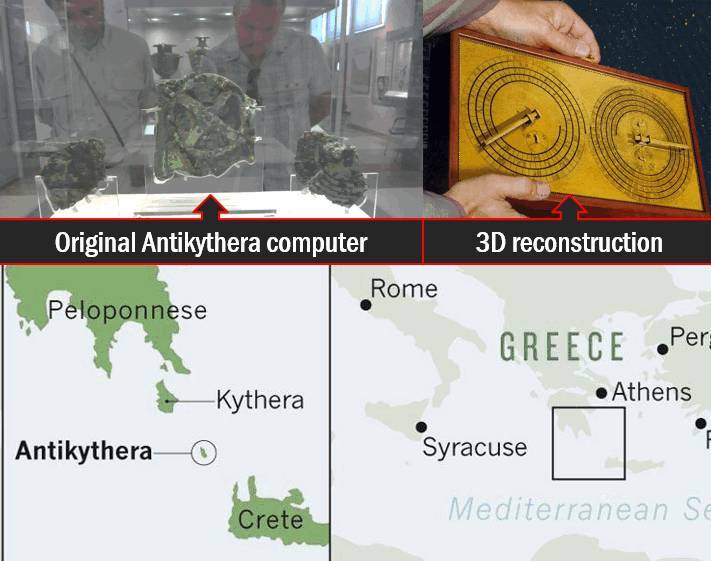 Antikythera could predict astronomical phenomena like eclipse, position of sun, moon, planets. Experts are still divided over who invented this computer and what was its main purpose? Regin is a Malware to spy on government, infrastructure, private companies, individuals. Difficult to detect because of its advance stealth features, and even after detection it is hard to find out how exactly Regin is damaging the system or whom is it sending the database? It uses “Modular approach” similar to Stuxnet, Flamer, Duqu etc. blockbuster malwares. Most of the targets were non-Western nations (Russia, Saudi, Iran, India, Pak) – so perhaps a Western country could have designed it. Although American agencies believe this is handiwork of Russian or Chinese hackers! Regin malware has been circulating since 2008, but American anti-virus companies detected it in late 2014.
inducing you to reveal your passwords/bank details. E.g. those messages which claim that you have won a lottery. A Germany tech company created “finspy” software to help government in criminal investigation. But same software also detected in human right activists and NGOs from third world countries. Meaning, authoritarian regimes are misusing technology for mass-surveillance. A German NGO built this free anti-surveillance software for Windows-OS, called “Detekt”. Detekt software helps people find whether their system is infected or not? Designed new technology to charge mobile phones in just 30 seconds, and electric cars/ hybrid cars in a few minutes. They created bio-organic molecules called “Nanodots”. Nanodots behave as semi-conductors and acilitate the battery to absorbe and retain electricity efficiently. Although technology is not yet ready for commercial production. These Nanodot-enabled batteries are too bulky and expensive. Data stored in flash memory is permanent even when electricity is off. For example USB Pen drives, Digital Cameras etc. At present flash drives are made from metal-oxide semiconductor (MOS) devices. But, If we use nanotechnology, we can further increase the storage capacity of these flash drives. Because Nano Technology deals with molecules at the scale of 10 rest to -9 meter. At this scale, materials show unique physical, chemical and biological properties. For example, at Nano-scale, the Selenium oxides can be used for storing data. Scotland researchers working on this technology. Developed a Python based programming language in Tamil. Ezhil is not mere translation of codes from C++/Java etc but it accepts logical sequences similar to spoken Tamil. To help Tamil school-children cultivate interest in Computer programming. 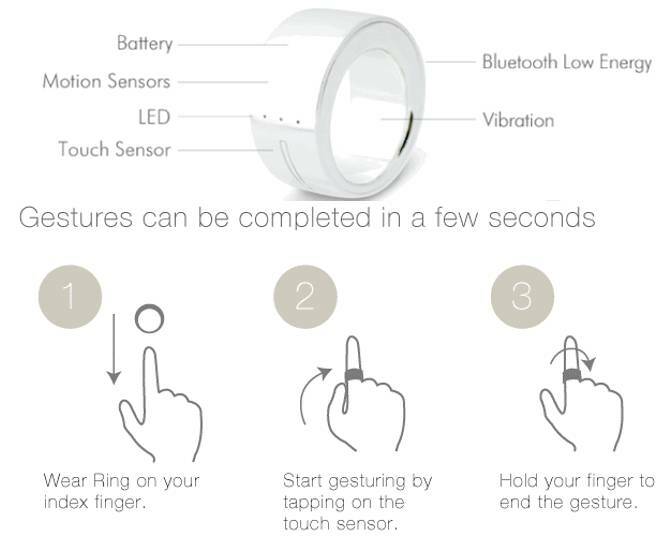 A Japanese company has deleveoped an electronic Ring with bluetooth. To control IT-gadges with finger gestures- using bluetooth network. E.g. open SMS, type messages and send emails without touching your phone or tablet. Hasan Ali Khan and Vaishali Neotia from Hyderabad. They designed a software “Merxius”, for Augmented Reality (AR) with help of google glass. For example, while wearing google glass, if you look at a machine or gadget, it’ll automatically fillup the screen with instruction on how to operate or repair that gadget. They won Aegis Graham Bell award for this software. Flash memory is volatile memory. RAM is an example of non-volatile memory. Q2. What is white-fi technology? Beaming internet over an area using underground cable network running along with water and gas connections. Beaming internet over an area using unused television spectrum. Q3. Who among the following will benefit from a “Digital locker”? Person wanting to hide his IP address while downloading torrents. Person wanting to store his pirated movies, softwares and games. Person wanting to run applications made by strangers, without exposing his system to malware. Person wanting to store government certificates on a cloud. This device was found from shipwreck at Antikythera islands in Caribbean archipelago. Leonardo Da Vinci had designed this instrument for calculating solar eclipses. Q5. Which of the following are malware or security threats? Q7. What’s the use of Logbar ring? It is a special plutonium ring meant to control the chain-reaction in nuclear reactors. It is a newly discovered belt of asteroids by ISRO’s Mars Mission. Q8. Ezhil Programming language is written in ____. Explain the mechanism of White-fi technology and its significance in removing digital divide in India. 150 words. List the applications for nanotechnology in electronics and IT sector. 150 words. What is Digital locker? What are its application for E-governance? 100 words. Hi everyone.. ds s shiva frm chennai.. I’m looking for a sincere aspirant to study with.. is here anyone available from chennai ? ? Guys there was a link for BASIC SPACE MATERIAL by mrunal sir..I am not able to find it again…Please someone help me by sharing its link as soon as possible..
Sir what is the difference between bandwidth and spectrum? Spectrum refers to all the frequency bands in our nature . It varies from 3Hz to 300 EHz (10‛18 Hz). Spectrum includes Audio , Radio , Microwave , alpha , gama etc. Bandwidth is difference of Upper Frequency and Lower frequency. Bandwidth = Upper Frequency – Lower Frequency. For eg. Human Ear frequency is 20 Hz to 20,000 Hz. Therefore Bandwidth is 19880 Hz or 1.988 KHz. Thanks for sharing such a wonderful stuff. However, can I request you to mention the dates explicitly rin the articles. All we can find out is from the url and the comments which say ‘1 year old’. Dear Sir, I am a 2nd year student & I will appear in UPSC exam in 2019. So, please suggest a book for science and technology and how to prepare this subject.